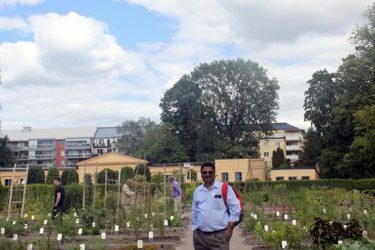 Dr. Ramesh Velupillaimani presented his research findings recently at an international photosynthesis research symposium in Uppsala, Sweden. 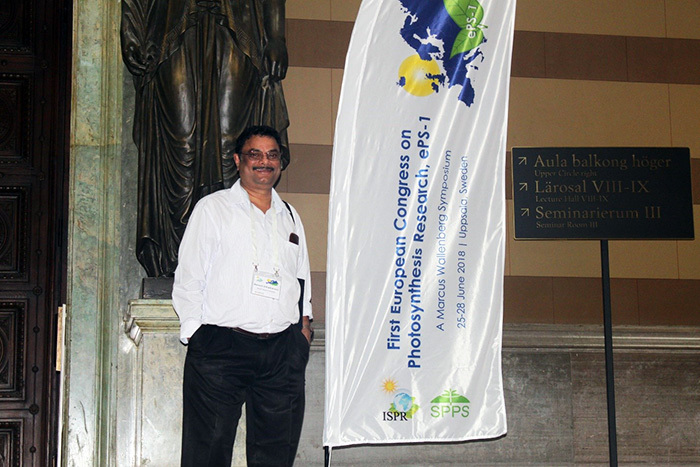 College of Science, Engineering and Technology Professor Dr. Ramesh Velupillaimani presented his research findings this summer at the First European Congress on Photosynthesis Research, ePS-1 A Marcus Wallenberg Symposium, in Uppsala, Sweden. His research involved an ultrafast spectroscopic approach to study how green alga captures and converts solar energy into chemical energy. 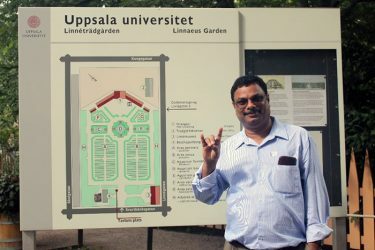 His research involved an ultrafast spectroscopic approach to study how green alga (Chlamydomonas reinhardtii), a miniature marvel, captures and converts solar energy into chemical energy. The ultimate goal of this research is the production of fuel directly from the energy of the sun, through natural or artificial photosynthesis, to help meet the world’s energy requirements. 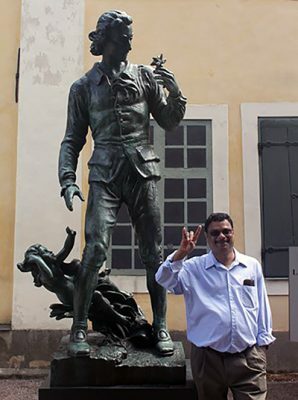 Velupillaimani at Linnaeus Garden and Museum next to a statue of scientist Carl Linnaeus.